Four acoustic Doppler beams work with common protocols for accurate channel flows. Open channel irrigators have a new tool at their disposal, designed specifically for their needs with proprietary "Smart Pulse" processing. The Son Tek- IQ high flow meter was developed in partnership with the Irrigation Training and Research Center at California Polytechnic State University and the University of Illinois' Art Schmidt. The result was a low-cost, but highly-accurate flow meter for use in numerous irrigation turnouts in the U.S. and abroad. Son Tek's new IQ irrigation flow meter is designed to measure water in open channels with 3-D accuracy and low cost. The project uses pulsed acoustic Doppler technology and first-in-use flow modeling in small irrigation canals. The IQ determines flow velocity with the sound waves which are configured in a way they allow the instrument to profile water velocity in three dimensions. 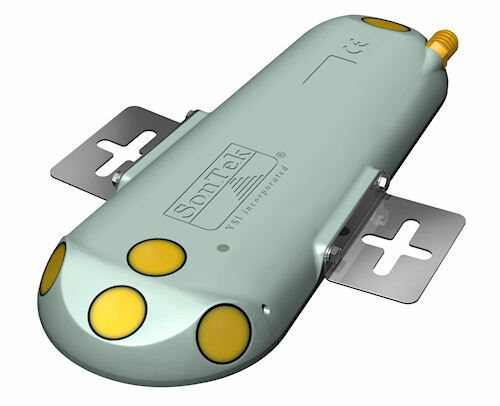 For more information on the Son Tek IQ, visit www.sontek.com.